All are mint never hinge. 1981 Belize Scott # 572-584 / Gibbons # 629-641 Independence Overprints on Shells Definitives - Gutter Pairs Mint Never Hinged - short set, missing the top three values. Siehe Scan ab Anfang bis 1905/09 - bis MiNr. cancelled and hingend. 1987 Orchids 1c through 7c (#882-88), 150x190mm COMPOSITE MASTER PROOF SHEET OF NINE on glossy plastic sheet (for sharper image than on paper). consisting of one each #882-7, two #888, and orchid label, note this differs from format of issued sheet. Belize #513-520 **CORNER GUTTER PAIRS WITH ALL MATCHING CONTROL #'S** RARE! CORNER GUTTER PAIRS WITH SELVAGE . BELIZE (1980). "SLEEPING BEAUTY". ALL MATCHING #2909. Belize 1986 Popes Easter sheet of eight plus label (#807), MASTER PROOF on. glossy plastic (for a sharper image than on paper). only two believed to exist, XF. No Exclusions. Date of issue: 01 November 2004. Yvert No. : 1177-1180. Belize MiNr. Motiv: Pfadfinder. Fehlen Ihnen noch Binder von Leuchtturm, Kabe, Lindner oder Safe???. Land: Belize. Belize MiNr. Motiv: Vögel. Land: Belize. Fehlen Ihnen noch Binder von Leuchtturm, Kabe, Lindner oder Safe???. Belize MiNr. Motiv: Internationales Jahr des Kindes. Fehlen Ihnen noch Binder von Leuchtturm, Kabe, Lindner oder Safe???. Wir wünschen Ihnen viel Spaß beim Stöbern! Belize #469 mint never hinged s/sheet. I do it this way so I do not have to keep up with that. One less thing to worry about. :- The item you receive may not be the item scanned, but will be of similar quality. You think price is not right?. Date of issue: 01 November 2004. No Exclusions. Yvert No. : 1177-1180. (Sq6605) Mi. Erhaltung: gestempelt, fine used. 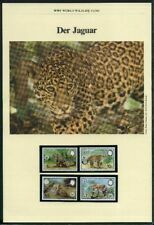 BELIZE : Beautiful all VF, MNH collection between years 1974-1990 Full of Better. collection between years 1974-1990. Beautiful all Very Fine, Mint Never Hinged. SCROLL DOWN FOR MORE IMAGES. Full of Better Topicals. Belize MiNr. Motiv: Olympiade 1980 Lake Placid. Die Abbildung ist exemplarisch! Land: Belize. 200 DIFFERENT BELIZE. Unless you ask for a signed for service. Stanley Gibbons No. : MS473. -:- The item you receive may not be the item scanned, but will be of similar quality. No Exclusions. MNH COLLECTION. ANY PROBLEMS WILL BE AN HONEST MISTAKE AND I AM HAPPY TO RESOLVE IT! Belize 1984 Parrots set of 4 imperf proofs mounted on two Format International proof cards. SG Catalogue No : 532-48 MS549. Issue : Shells definitives set M/Sheet(2). Condition : mint,never-hinged(MNH). Date : 1980. '1st MANNED FLIGHT BICENTENNIAL'. #678 & 679 ( . BELIZE (1983). MATCHING NUMBERED SOUVENIR SHEETS - SEE PHOTO). ORIGINAL OFFICIAL PRESS RELEASE (DATE STAMPED). British Honduras (Belize) 1888 Queen Victoria Mi.-Nr. 15C sauber ungebraucht. Marke sauber ungebraucht in guter Erhaltung. Souvenir Sheet Size: 4 3/4 x 3 1/2 aprox. 250 Timbres et29 Blocs. 250 Timbres et de29 Blocs. Années 1983 à 1989. Timbres et BlocsNEUFS. Nombreux Timbres THEMATIQUES. en Séries Complètes. (Animaux, Fleurs, Champignons, Transports.). Pochette composée de . Issue : Birds set 4 miniature sheet. Condition : mint,never-hinged(MNH). Date : 1980. Year of issue: 1979. You think price is not right?. Condition: Mint Never Hinged. No Exclusions. Belize Scott 503 - 510, 512 in MNH condition, as shown in the scan(s).